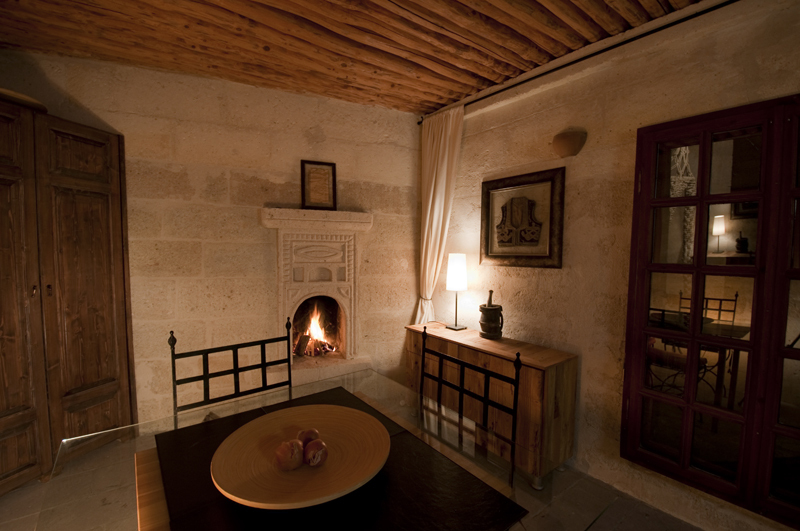 All rooms of Suite Asmali Odalar are very spacious and light. 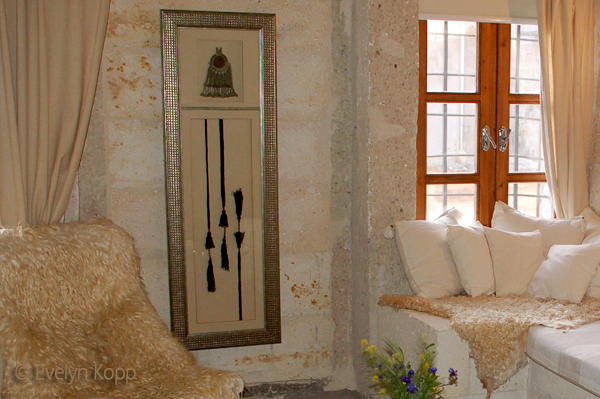 The salon in a high vaulted room with dining area and open fireplace is cozy in style with modern accents. 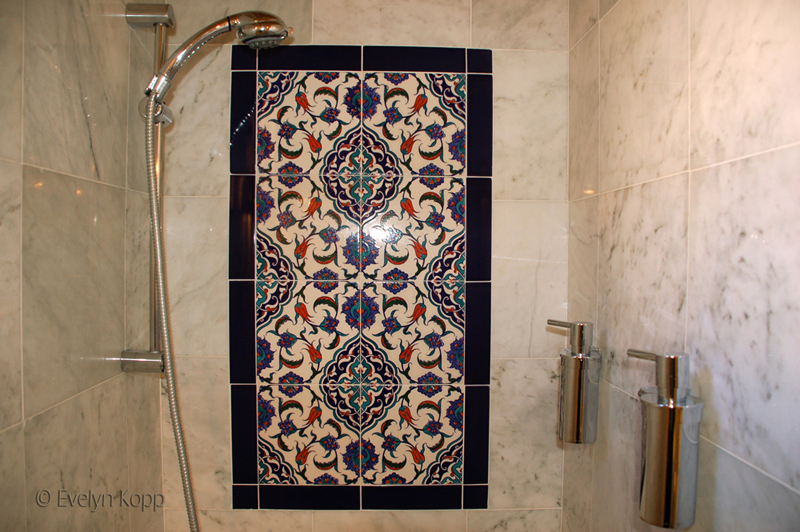 which is decorated with Iznik-Style motive tiles on white marble. 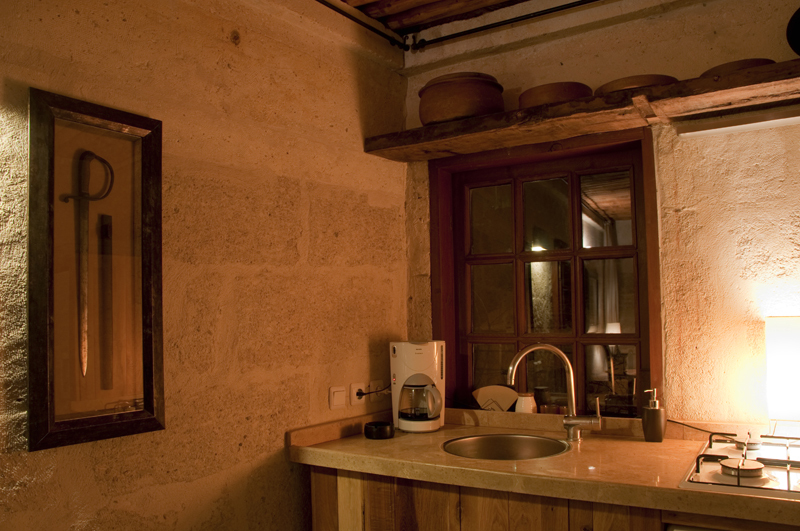 The kitchen is fully equipped for the private breakfast in the suit, with all needed accessories for min. 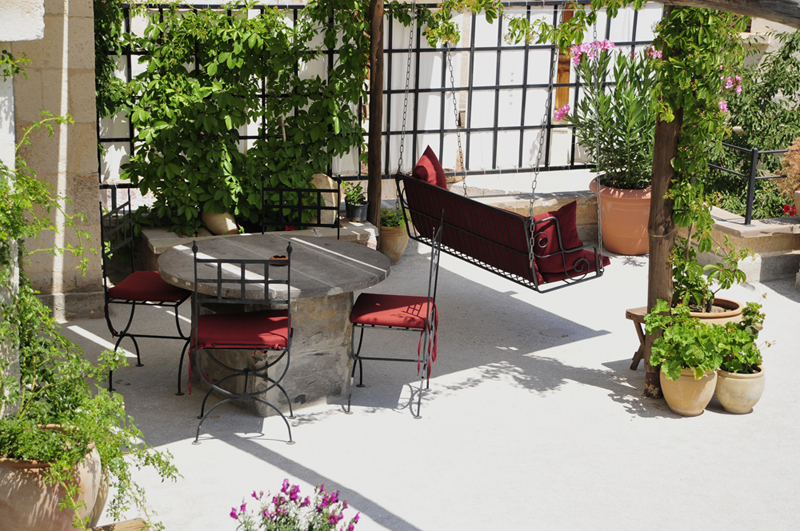 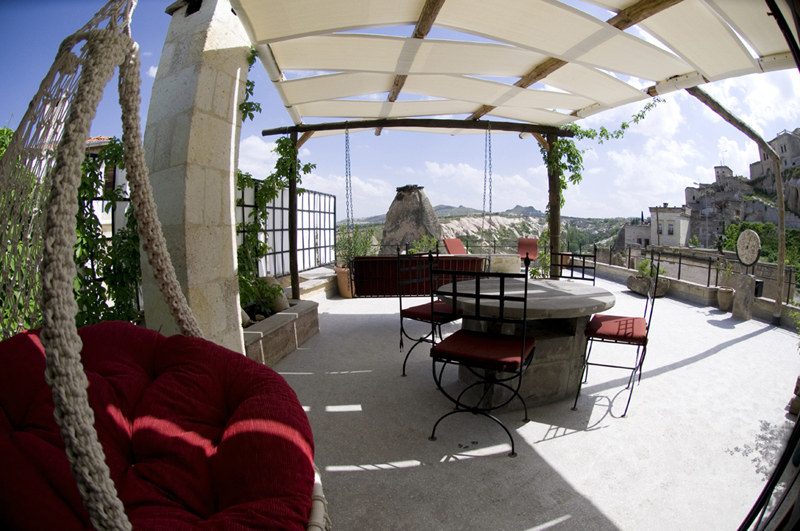 6 people From there one finds direct access to the furnished terrace with breathtaking views to the famous Pigeon Valley and up to the Castle of Uchisar. 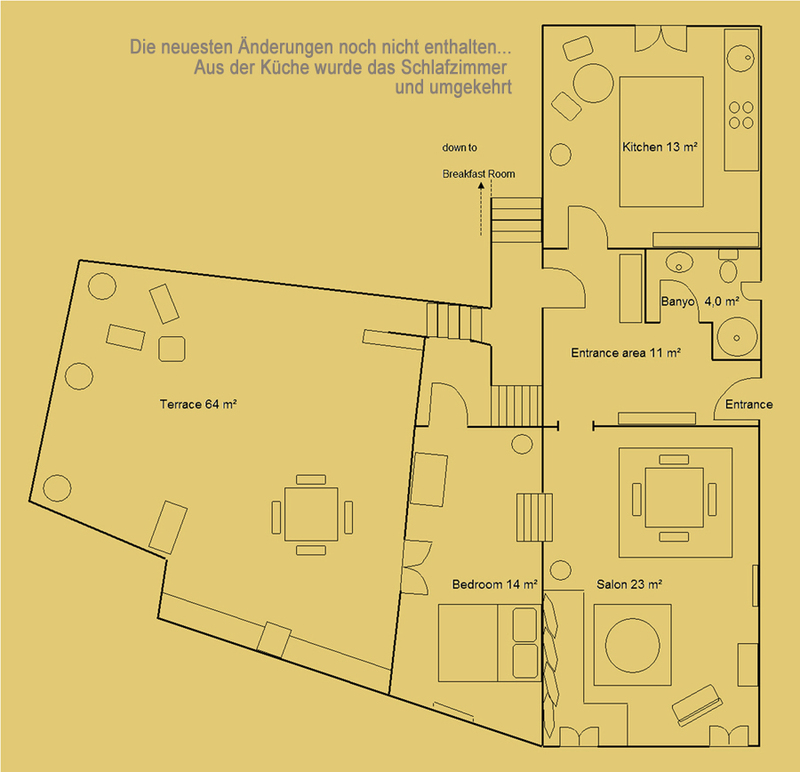 Designed on 85 m² the Suite is for 2 People, but arrangements for one additional bed is possible (see the Room-Design below). 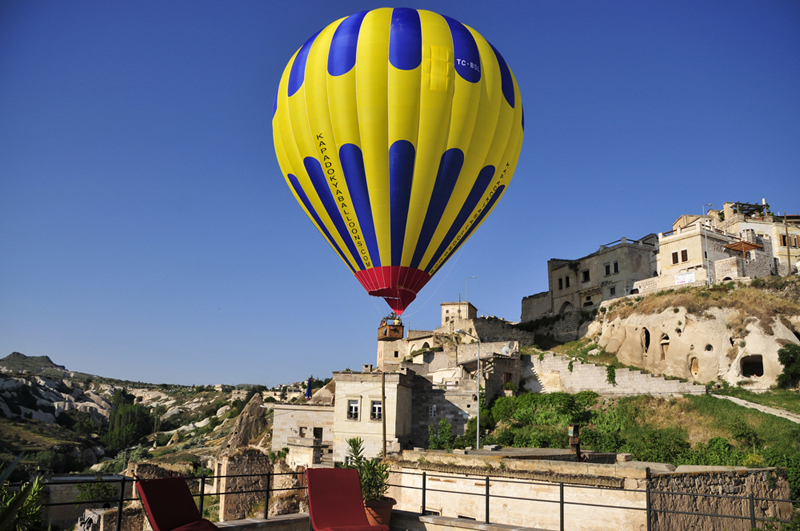 Satellite-TV (turk. 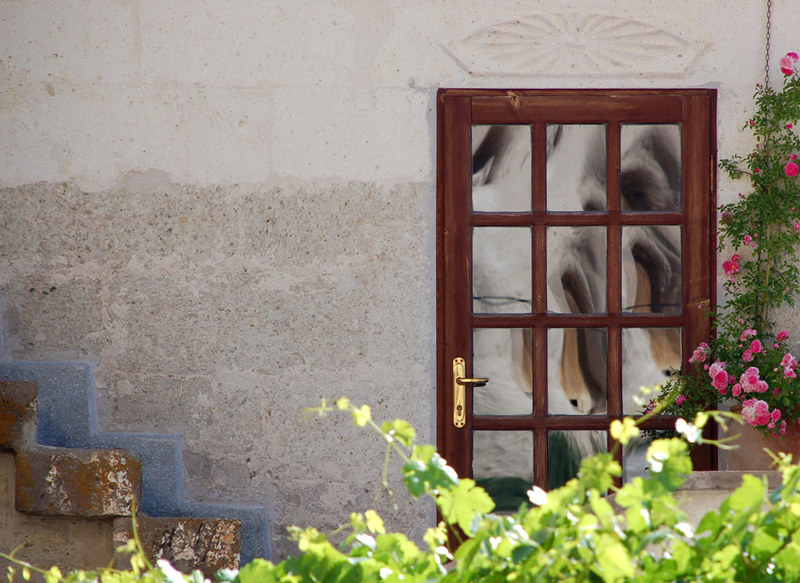 & int.) 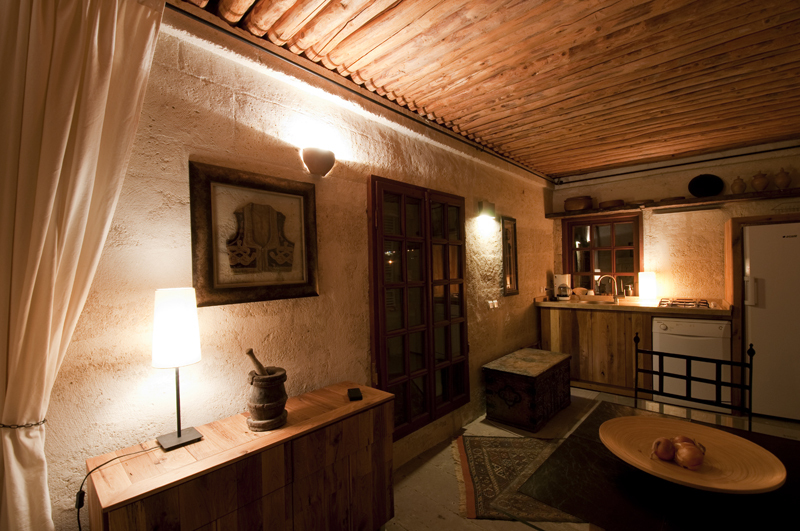 and certainly wireless internet is available as well. 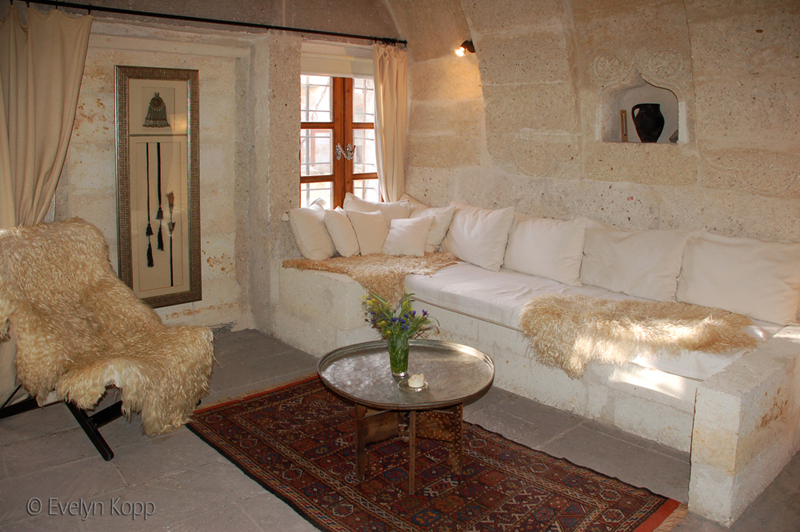 And for our guests from abroad we provide a local mobile phone to stay in touch in the hotel, but also while their hikes and tours all over Cappadocia. 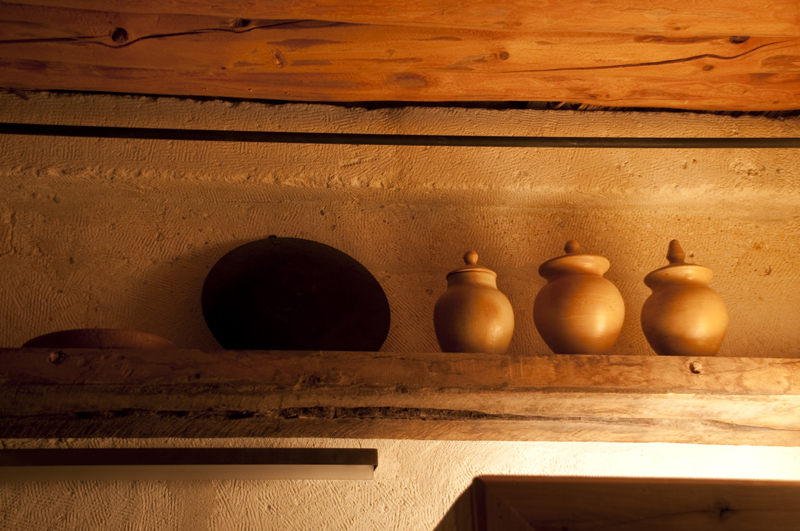 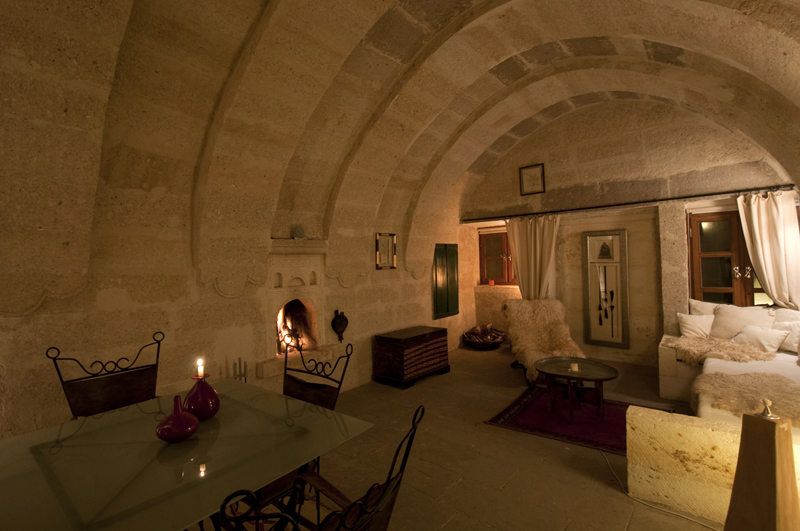 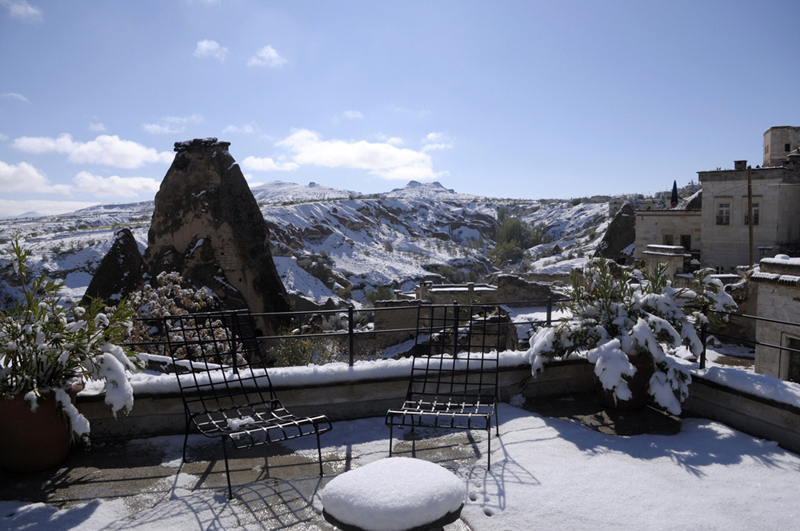 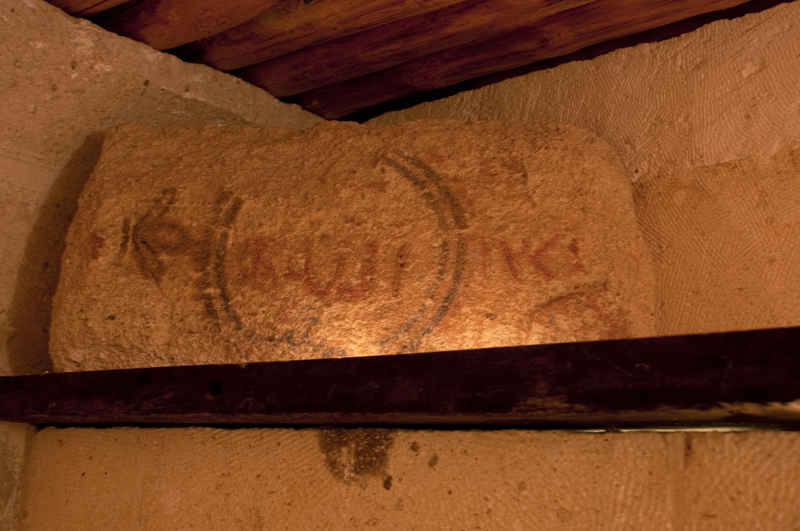 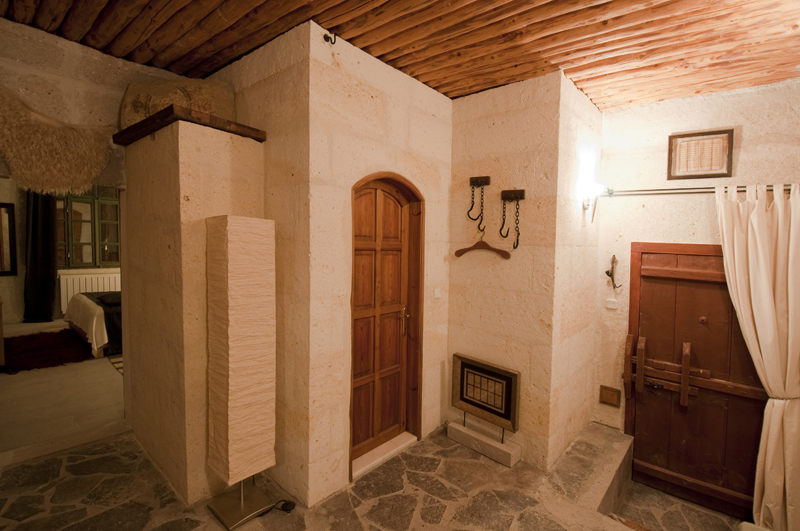 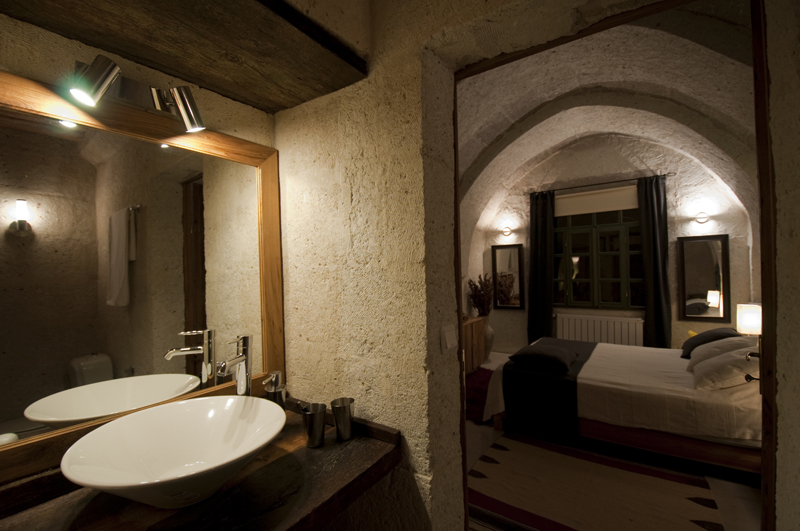 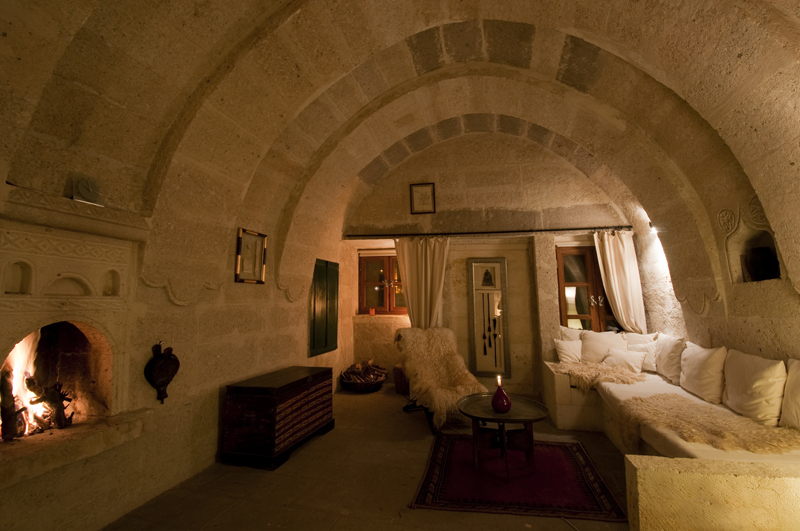 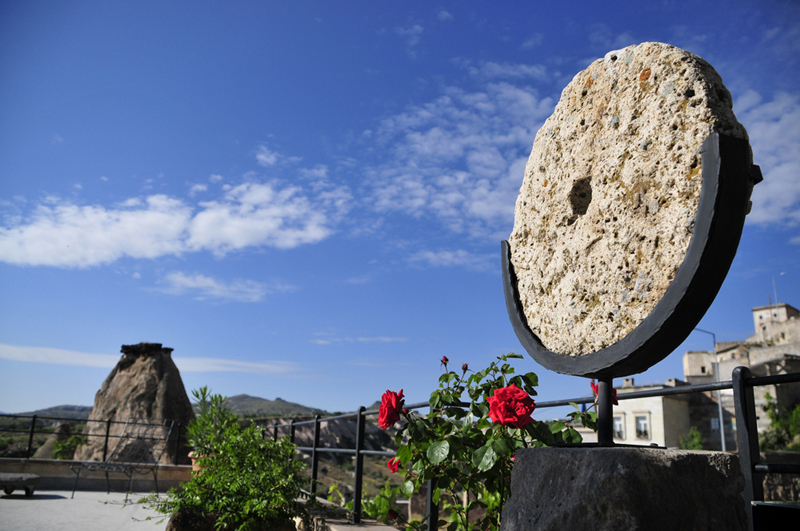 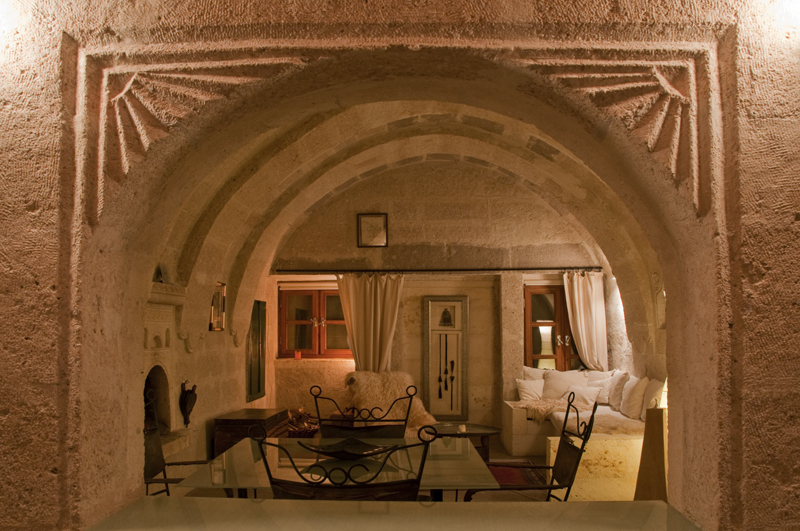 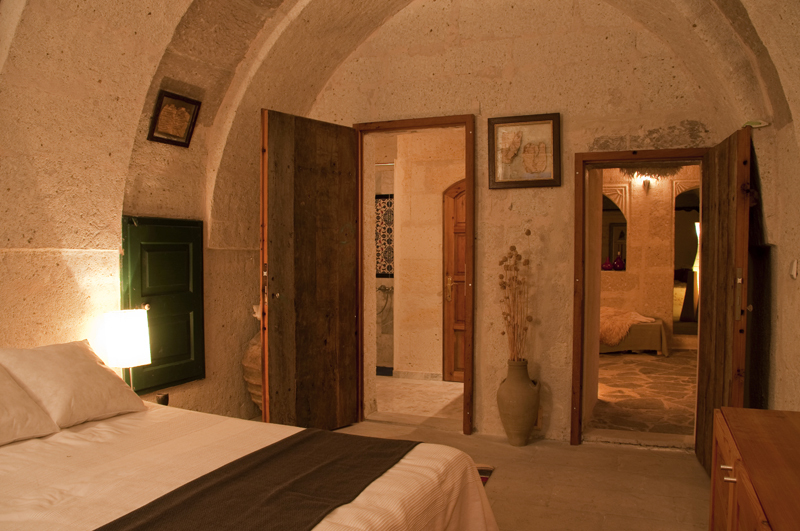 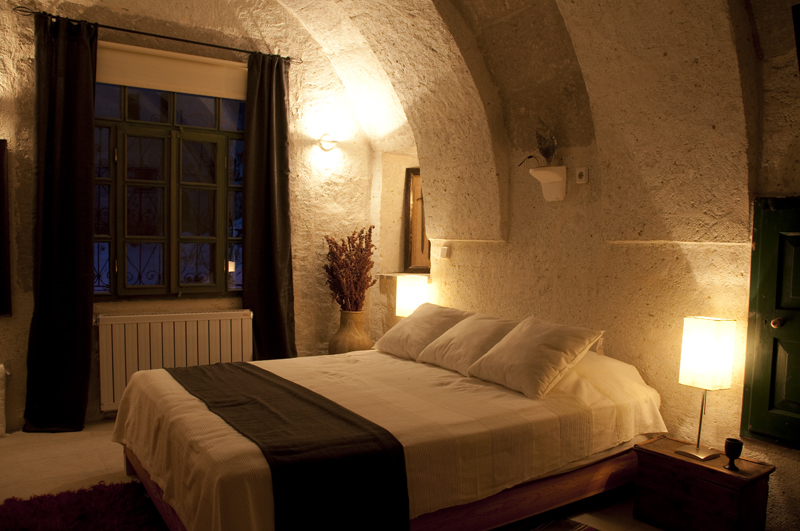 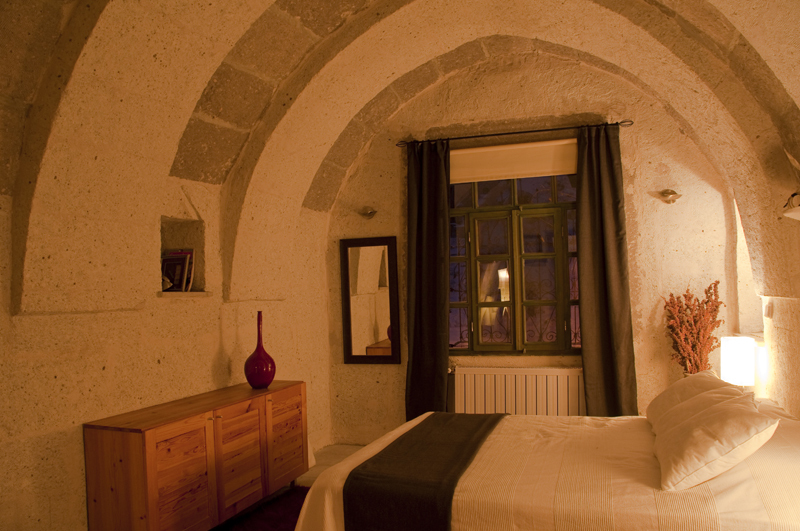 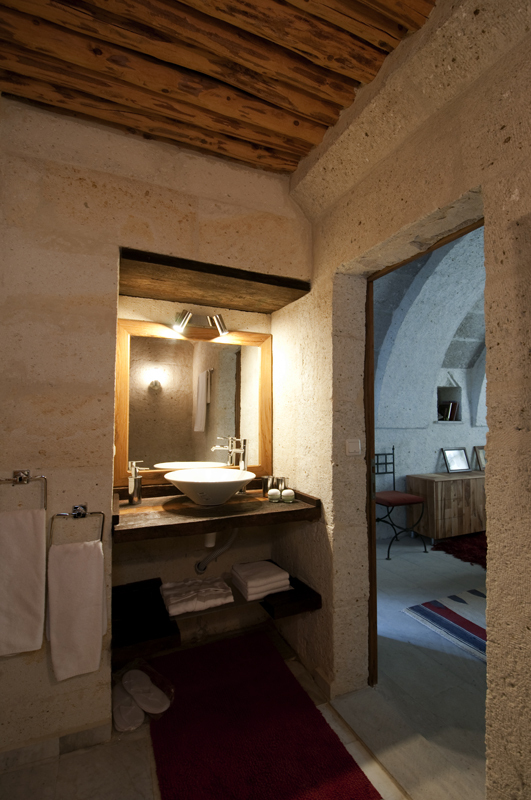 See Asmali Cave House, the individual Suites, as well as the terraces from a different angle. 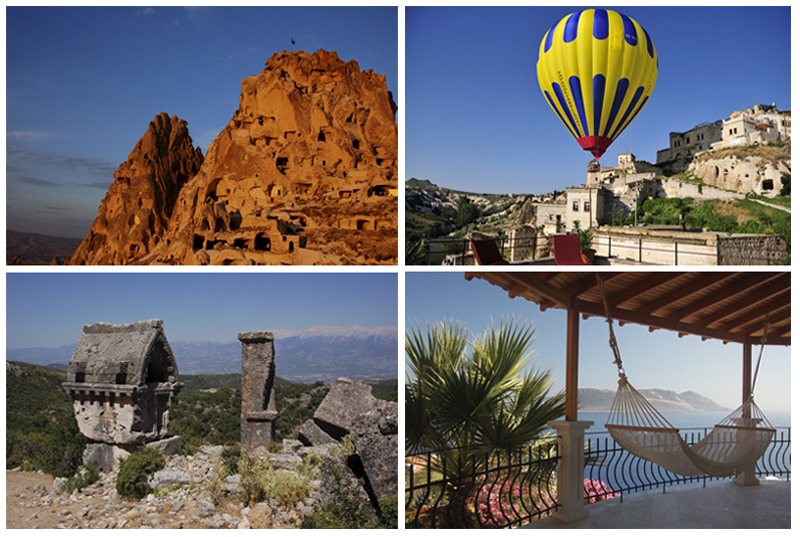 as one of the world's spectacular natural and cultural site and added to the World Heritage List. 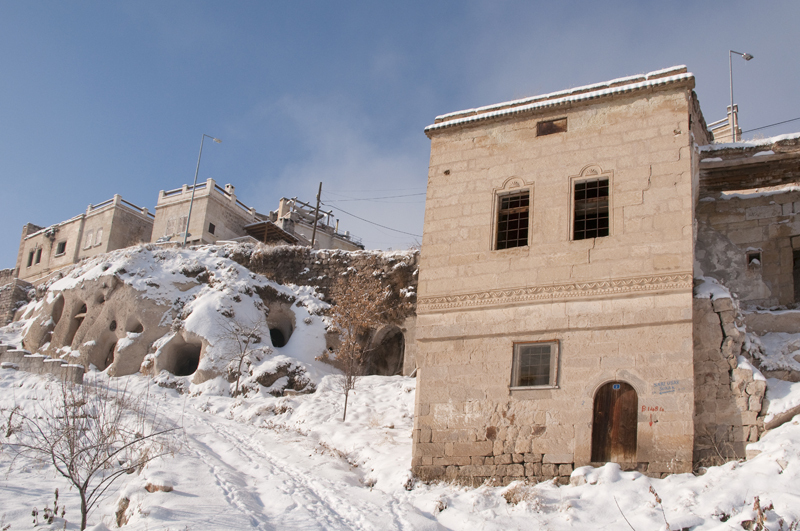 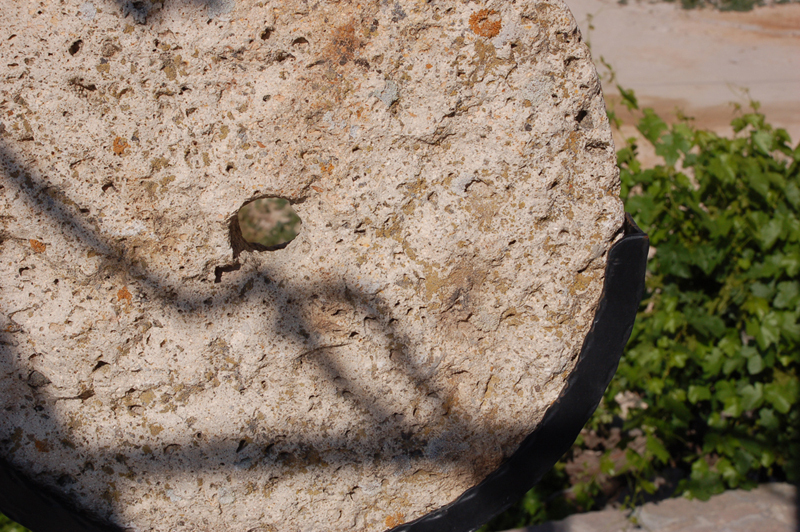 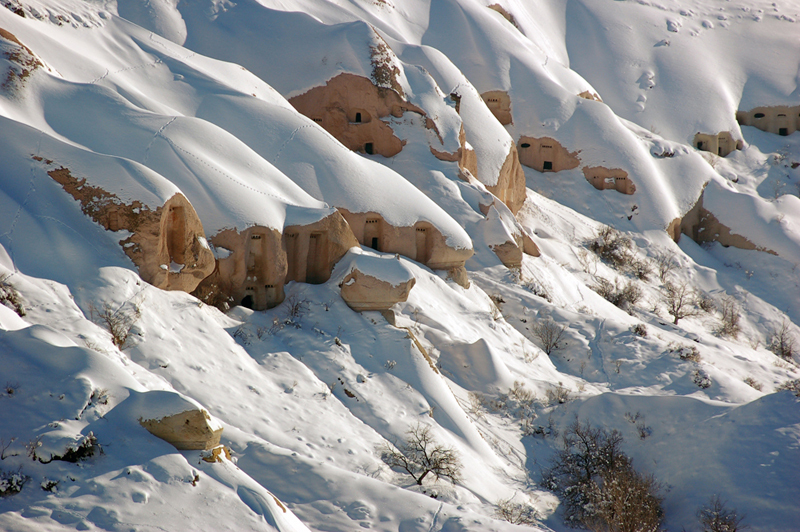 living in an unspoiled village in the heart of Cappadocia. 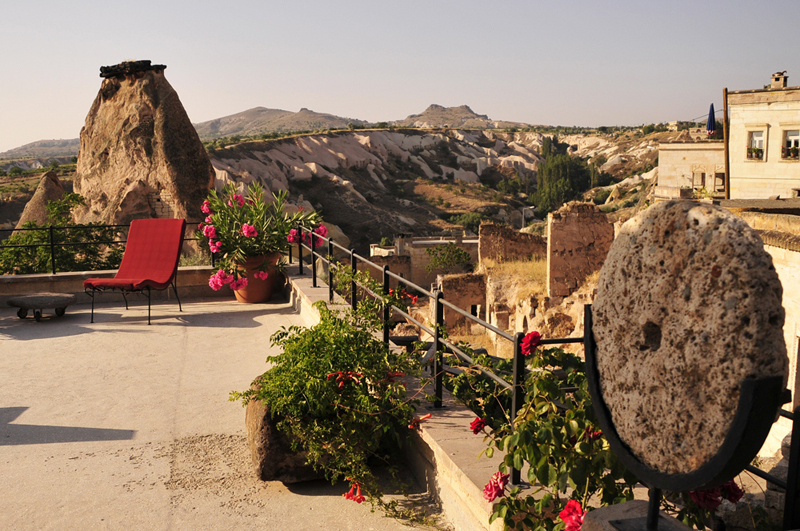 Since many years, Cappadocia is used to be a natural film set for many national and international movies. 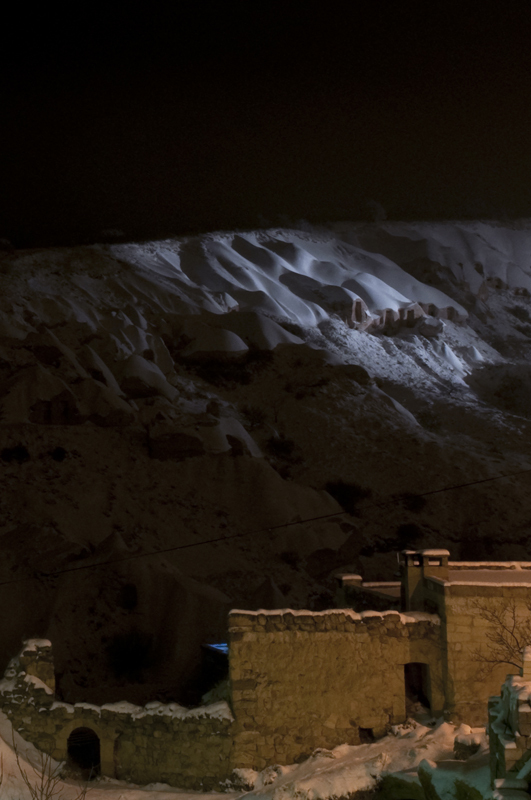 Producers and directors had been inspired by the magical landscape. 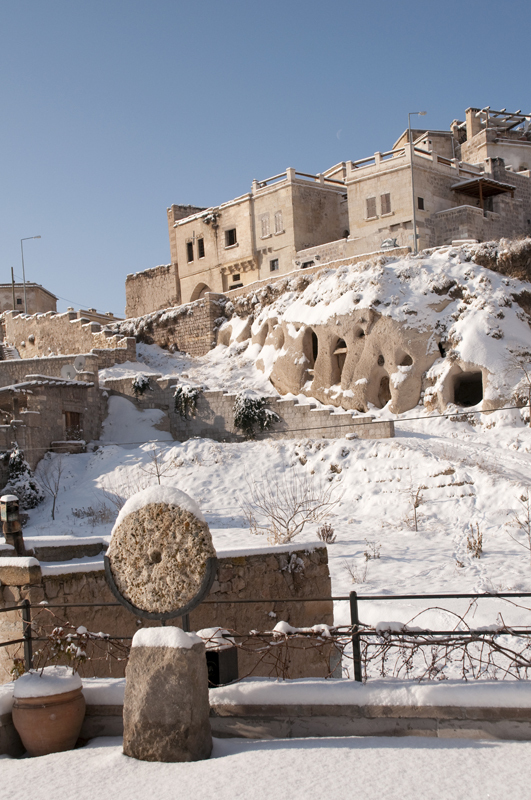 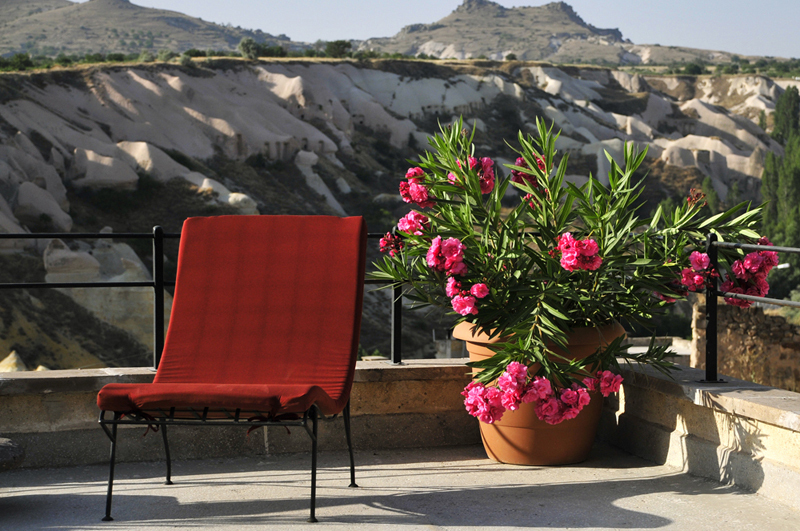 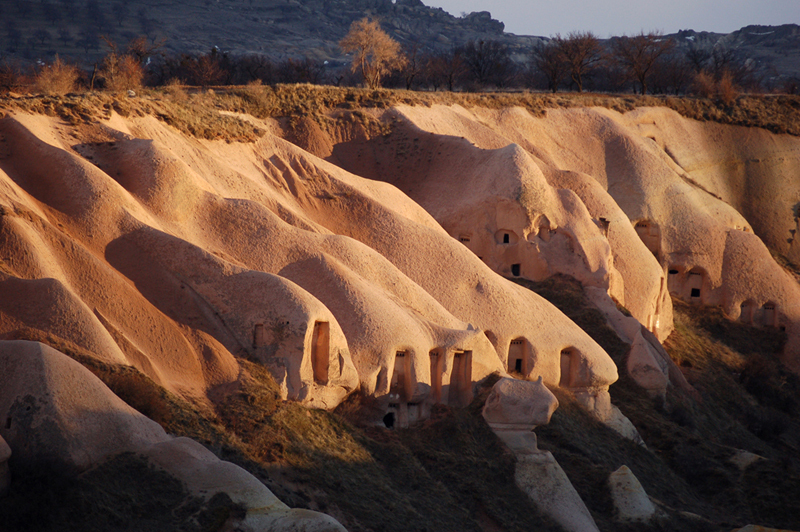 From TV-Series to Science-Fiction or Thriller, Cappadocia was obviously worth being chosen.